Special Promotions 5% OFF on this product. Use coupon code CRBAY5 at checkout. Limited time only.. 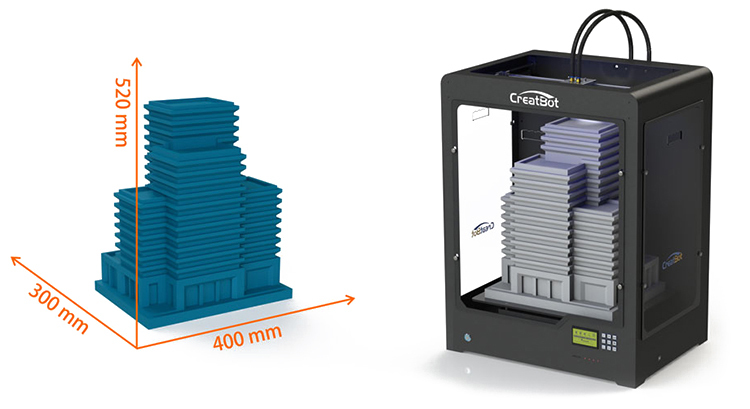 The CreatBot DE | CreatBot DE Plus 3D printer is a high-speed printer with a 400*300*300mm (DE) | 400mm x 300mm x 520mm(DE Plus) build volume and 0.04mm print resolution. The see through walls mean you can watch as your printer creates your 3D models. 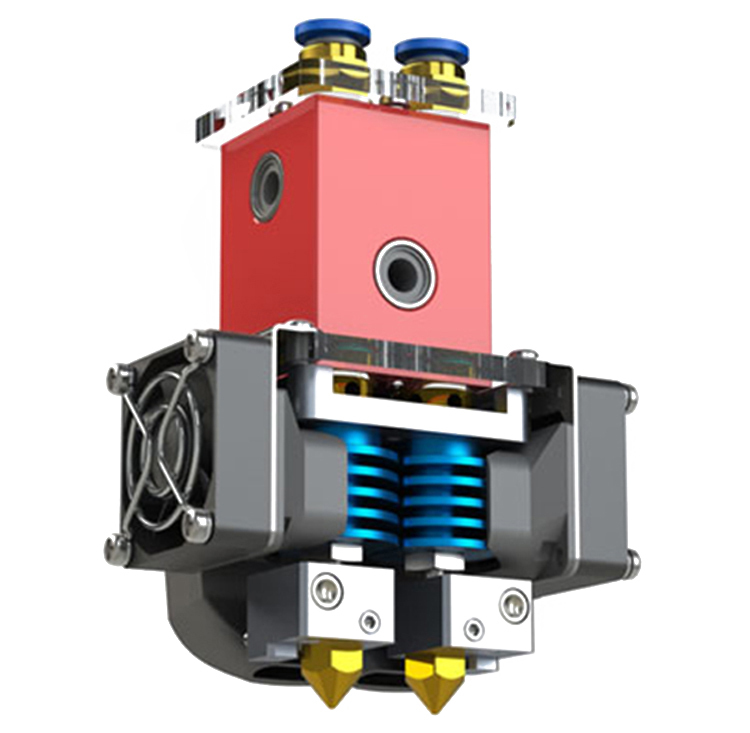 The CreatBot DE series has height adjustable nozzles, allowing you to manually align the nozzles quickly and efficiently. This ensures the quality of your prints by creating perfect coordination between the nozzles. 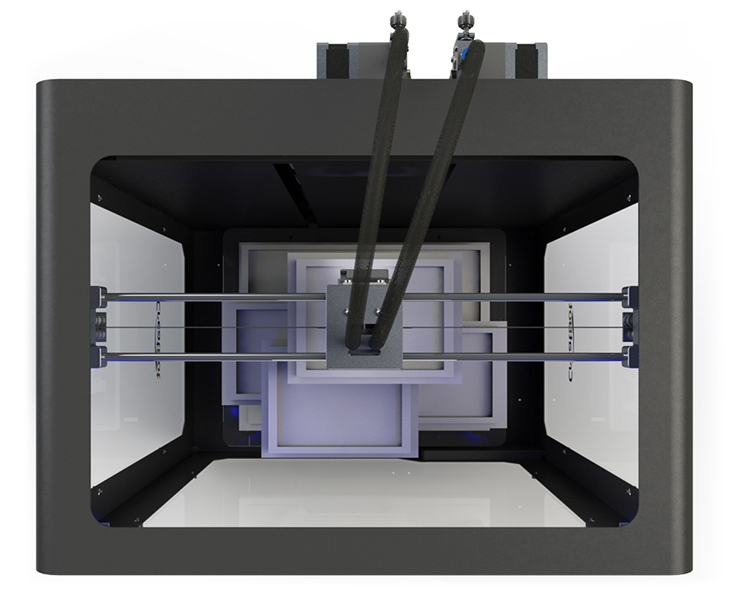 This solid constructed 3D Printer supports up to triple print heads, semi enclosed chamber with see through walls, a heated glass print bed and a Bowden style extruder. The extruder has the stepper motors positioned at the back of the machine which results in a light weight print head assembly enabling high speed 3D Printing. The DE | DE+ boasts with its impressive build volume of 400 x 300 x 300mm(DX)/520mm(DX Plus), that is more than enough for most makers. This means that you can print your creations in 52 cm height and with a resolution of 0.04 mm. The most important reason for getting the Creatbot DE Plus is it's build size. For comparised, the buildsize is almost SEVEN times that of a Ultimaker 3, 4.5 times that of a Ultimaker 3 Extended. In many ways, it's a relative simple printer to operate. No WiFi, no remote camera, which, by the way, are not things I am looking for. However, it does have a filament error detection system which so far has worked perfectly. It also has a power-out function. The print-quality actually surprised me in some ways because I expected that the big buildsize would come at the expense of print quality. In reality, printing at 100 microns gives excellent result. Thus, so far after 1200 hours of printing in just four months, I am very satisfied with it.